It’s wonderful to see students on Trailhead, feeling excited about learning and proud of themselves for their accomplishments. I first came across Salesforce when I was working at Kelly Connect supporting Apple as a tech support agent. We tracked schedules, bonuses, and even had a game in the Salesforce Classic UI. I was a business user with aspirations of becoming a Salesforce Admin. It wasn’t until much later that I found Trailhead. When our Success Manager was out on paternity leave, Chris Duarte took his place. Chris was such a helpful Success Manager and I never forgot how she helped us get through a few big issues. 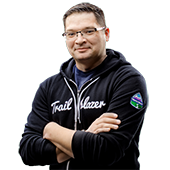 When I found out Chris started working on something called Trailhead I knew I had to see what it was about. I became hooked! Trailhead taught me how to use Process Builder and Flow to retire code. Because of what I’ve learned on Trailhead I can read the code in my org and analyze what it does and plan a way to move that to Process Builder and Flow. Additionally, when thinking through challenges, I have been able to use the logic we would use to deploy code and apply them instead to Process Builder and Flow so that we do not have to write code. Clicks not code! I learn new features and products. I see value in investigating what I can do with these new technologies and see if I can solve any of our pending business challenges with them. 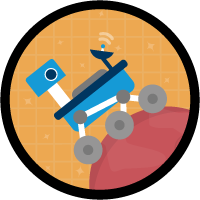 Also I look at our features and see what we can move to and reduce custom features as they are more difficult to support and maintain. When did you first feel like you were becoming a Salesforce expert? While attending the Circles of Success at the Dallas World Tour in 2016, I realized how much I really knew and how many people were where I was a few years ago, experience-wise. I had accumulated valuable knowledge which I was able turn around and contribute back to the community. There will always be people just entering the Salesforce ecosystem and every new Trailblazer could benefit from a guide to light the way. I teach Trailhead and Salesforce skills to LGBT homeless youth through Montrose Grace Place (#MGPdoesTrailhead.) 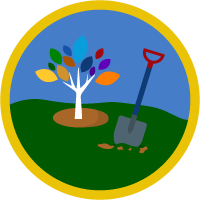 The youth at Montrose Grace Place enjoy learning on Trailhead so much, for instance they’ll often stay late after class ends to complete the badge they’re working on. The students even work on Trailhead outside of the monthly classes. It’s wonderful to see these students feeling excited about learning and proud of themselves for their accomplishments. To me the Trailblazer community means sanctuary, acceptance, and giving. When I had the idea to teach Trailhead at Montrose Grace Place, the community instantly supported it. We have been able to provide more support than I would have ever thought possible to this scrappy non-profit. I’ve also found this level of acceptance personally as well. The community has accepted me and treated me with respect. When I asked for help for #MGPdoesTrailhead, I received many volunteers from Twitter, all people I didn’t know personally! I couldn’t believe people would jump to action for a complete stranger. This community is amazing. 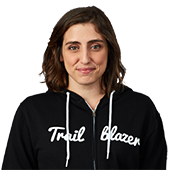 Being a Trailblazer means learning and always doing more for yourself and for your community. If you have privilege, and so many of us do, it is our responsibility to use it to help others. Trailblazers are grateful for what they have and they always pay it forward. 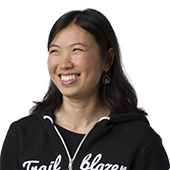 Being a Trailblazer means that as we learn, grow, and improve ourselves, we make sure to bring others up with us. Get started! There is such valuable content for everyone, both technical and non-technical. So many job descriptions today ask for knowledge of Salesforce. Being able to use Salesforce is as necessary as being able to use email. 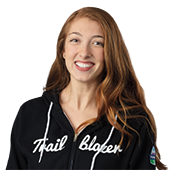 Get on Trailhead and learn for free so you can open up the opportunities for you. I love what I do right now. But if we are talking about true dream jobs, I have been thinking about creating a consulting firm that employs youth from Montrose Grace Place or other organizations. I could teach them how to do customer service, admin, and business analyst functions. I could help them get on their feet, afford housing and food, all while starting them on a career path with Salesforce. 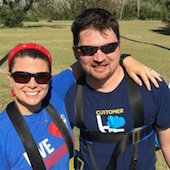 What message do you have for people that are considering learning Salesforce? Learning Salesforce is a great career decision. The skills are in high demand and there is high quality free training available to the public. The community both online and off is unparalleled. You can always reach out to the community with questions and someone will respond. 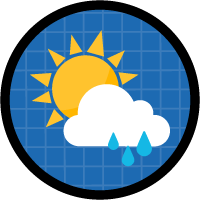 You’ll be amazed at the generosity of the community and the fun you’ll have learning Salesforce. I have learned so much from other women in this community and I try to pass it on as best as I can.